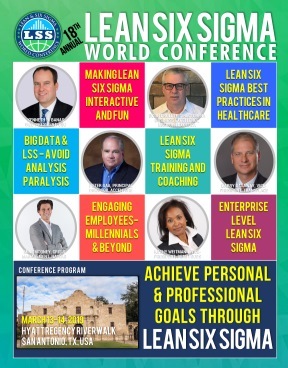 The presentation demonstrates how a large U.S. city successfully implemented Lean Six Sigma, by cultivating innovation through continuous improvement systems and practices to achieve world-class economic development by empowered employees and progressive leadership committed to delivering superior customer service. The City of Dallas (Dallas) launched its Lean Six Sigma (LSS) program in 2015 by hiring a Master Black Belt and two Black Belts. The LSS program has demonstrated how instrumental it is in the disciplined application of proven management systems and providing services to citizens more efficiently and effectively. Dallas’ deployment strategy relies upon Identifying opportunities for improvement, Motivating government employees, and Building knowledge and empowering employees to make change in work processes. Currently, Dallas has two LSS Master Black Belts, who have produced hundreds of belts: 362 Blue, 223 Yellow, 130 Green, and three Black. The Black Belts are embedded in key departments. To date, 55 projects have identified potential savings of $4.09 million of which $2.05 million (hard and soft savings) realized. Some project examples include 911 Call Center Hiring lead time reduction, Reducing Equipment & Building Services repair downtime, Reduce Fire & Rescue overtime, and the Dallas Animal Services intake process. City Manager T.C Broadnax introduced six strategic priority areas in which the LSS Program serves as an integral component. Under the visionary leadership of Chief of Staff Kimberly Tolbert, LSS will be key to sustainability and innovation for new city leadership as vested employees work toward “Service First” excellence.